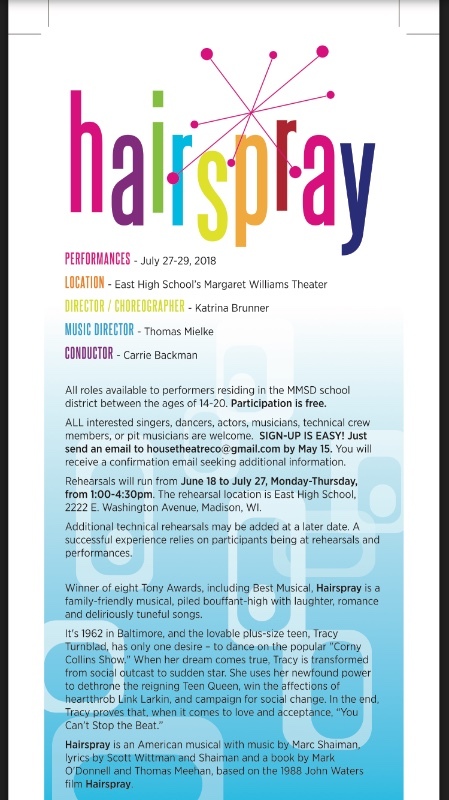 Fundraiser by Katrina Williams Brunner : Hairspray with House Theatre Co.
Hairspray with House Theatre Co.
We are halfway to our $10,000 goal! 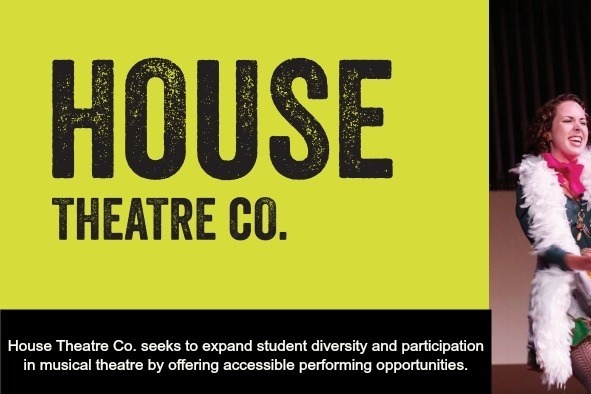 After six seasons, House Theatre Co. has reorganized and officially partnered with Madison Metropolitan School District (MMSD) to provide equitable musical theatre opportunities. To launch this program, MMSD has provided $5000 of support in royalty, rental fees and services in-kind. This pilot program, designed by professional theatre and music educators working as volunteers, provides free musical theatre experiences to students in MMSD. Contributions will keep participation free with no hidden costs, enhance production vaules (costumes, sets, etc.) and provide individualized supports (intern and teaching assistant compensation). Help us expand access to performing arts opportunities and strengthen skills that lead to school success.